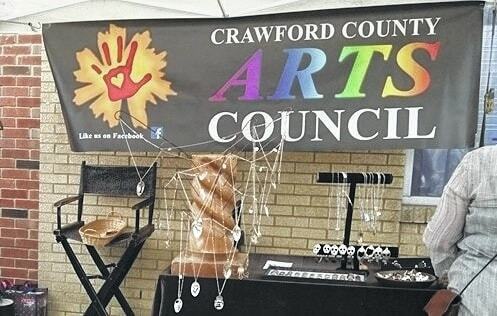 BUCYRUS — The Crawford County Arts Council (CCAC) is calling on all local artists, musicians and writers to present their work at the fourth annual Arts Council Mardi Gras Party. Last year’s event was held in Galion at the Varsity Grille, but this year’s event will kick off at 7 p.m. on Feb. 28 at the Old 30 BBQ, located at 1330 E. Mansfield St., in Bucyrus. The event features an open exhibition of art work and open mic for musicians and writers to feature their work including paintings, sculptures, crafts, music and literature. The Arts Council will provide snacks and a cash bar will be available. CCAC president Beverly Morgan said that art is a means to express what we feel inside when words fail us. “Teaching art techniques to youth provides them with a safe space to find their voice and express their emotions. Without art and culture, we are merely part of the machine,” said Morgan. The CCAC was formed in 2013 and is now a 501c-3 non-profit organization. “It started with a vision – how to improve the quality of life for Crawford County residents. The Arts Council was born of this vision,” said Morgan. The event is open to everyone, not limited to artists. “Come and mingle, look at art, talk art, listen to music. You don’t have to share your artwork to attend,” said Ellis. For more information about the event, visit https://www.facebook.com/events/1603770616305427 on Facebook. For more information about the arts council, visit http://crawfordcountyartscouncil.com.